Earlier this morning we talked with Scott Walker about his first year as governor. He has been the driver of the sweeping and controversial changes in Wisconsin. They include restricting public union rights and deeply cutting money for education. As a result, critics are attempting to recall him, while supporters praise him for being bold. 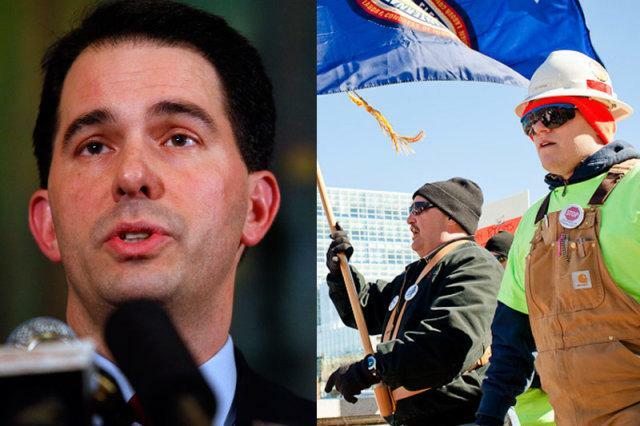 In this segment of our series, Project Milwaukee: State of Upheaval, WUWM’s Ann-Elise Henzl shares insights from people who have observed Walker become the politician he is today. Today we begin Project Milwaukee: State of Upheaval. 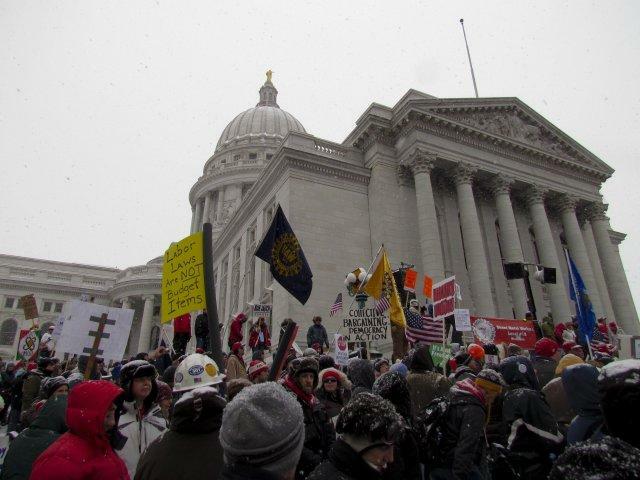 All week, we’ll explore the intersection of Wisconsin’s volatile political and economic climates in 2011. The central figure in the drama has been Republican Gov. Scott Walker, now approaching his first anniversary in office. Later this morning, we'll talk with people who've observed the politician over the years. 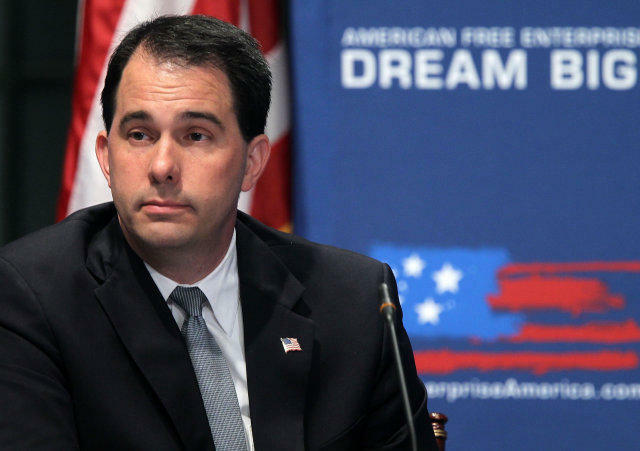 This hour, Walker reflects on his first year as governor, and his ideological formation. He chatted with WUWM’s Ann-Elise Henzl. From Journal Sentinel reporter Craig Gilbert to Wisconsin Governor Scott Walker, our montage of voices from the past 12 months previews our next special series, Project Milwaukee: State of Upheaval. It starts Monday on Lake Effect and WUWM News. The series culminates with a live Lake Effect broadcast from the Pabst Theater next Friday. In the coming week, WUWM’s Newsroom reporters and Lake Effect producers will reflect on the divisive year in Wisconsin politics. Our series, Project Milwaukee: State of Upheaval will address the subject from a variety of perspectives, including why so many sweeping policy changes were enacted in 2011, how the state has changed as a result, and where Wisconsin is headed. While religion and politics have always been difficult subjects to broach in mixed company, politics has been especially troublesome. 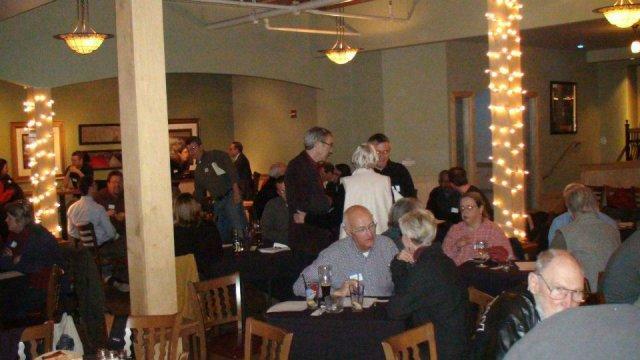 Conservative Scott Grabins and liberal Katie Songer are the founders of Reach Out Wisconsin, a Madison-based group that brings together people on both ends of the political spectrum for civil conversations about often-polarizing issues. We spoke to them as part of our Project Milwaukee: State of Upheaval series.